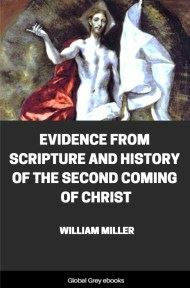 This is a collection of lectures by William Miller, a 19th century preacher who managed to convince himself and thousands of others that Jesus would return in 1844. 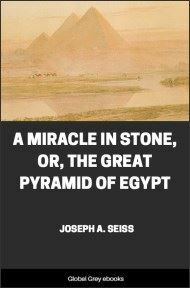 After he fought in the war of 1812, he had a spiritual epiphany and became convinced that Biblical chronology pointed to the immiment end of the world, and in 1832, was confident enough to publicize his beliefs. WHEN we take a view of the trials, pains, afflictions, persecutions, poverty, and distress, which the people of God suffer in this world, we are almost led to exclaim with the apostle, "If in this life only we have hope, we are of all men most miserable." But no; we will not complain; for to suffer the short period of threescore years and ten, at most, will only give a greater zest to the glory which shall follow at the appearing of our Lord and Savior the great God and Jesus Christ. I know the world are taunting us with the inquiry, "Where is the promise of his coming? for, since the fathers fell asleep, all things remain as they were, even from the creation of the world;" for they will pretend to be ignorant (as the apostle Peter expresses himself of the deluge) that the world that then was, being overflowed with water, perished; and still more do they pretend to be ignorant, that the same earth is in like manner to be destroyed by fire, "reserved unto fire against the day of judgment and perdition of ungodly men." 2Peter iii. 7. Also, my brethren, there are some even among us, who "are spots in your feasts of charity, feeding themselves without fear; clouds without water, carried about of winds; trees whose fruit withereth; twice dead, plucked up by the roots; raging waves of the sea, foaming out their own shame; wandering stars, to whom is reserved the blackness of darkness forever. And Enoch also, the seventh from Adam, prophesied of these, saying, Behold, the Lord cometh with ten thousand of his saints, to execute judgment upon all; and to convince all that are ungodly among them of all their ungodly deeds which they have ungodly committed, and of all their hard speeches which they have spoken against him. These are murmurers, complainers, walking after their own lusts; and their mouth speaking great swelling words, having men's persons in admiration, because of advantage. But, beloved, remember ye the words which were spoken before of the apostles of our Lord Jesus Christ; how that they told you there should be mockers in the last time, who should walk after their own ungodly lusts. These be they who separate themselves, sensual, having not the Spirit. But ye, beloved, building up yourselves on your most holy faith, praying in the Holy Ghost, keep yourselves in the love of God, looking for the mercy (or glorious appearing) of our Lord Jesus Christ unto eternal life." Jude 12-21. Or, as Peter says, 2Pet. iii. 12, "Looking for and hasting unto the coming of the day of God." And again, Paul says, in Heb. ix. 28, "And unto them that look for him shall he appear the second time without sin unto salvation." And Paul further saith, to his Philippian brethren, "For our conversation is in heaven; from whence also we look for the Savior, the Lord Jesus Christ, who shall change our vile body, that it may be fashioned like unto his glorious body." 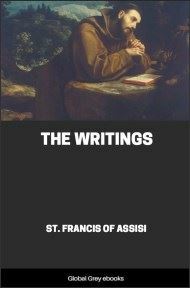 Having thus proved that the apostles directed our hope to the coming of Christ for the fulfilment of all our trials and persecution, and the completion of our faith, I shall now take up our subject in the following order:--I. I shall endeavor to prove that it is yet future; viz., the coming of Christ, spoken of in the text. II. The certainty of his coming. III. The object of his coming. I. We are, according to our design, to show that the appearing of the Lord Jesus Christ, spoken of in the text, is yet future. Some teach us that he came at the destruction of Jerusalem, and quote to the 24th chapter of Matthew as proof. Let us examine their evidence. As Jesus went out of the temple, his disciples came to him for to show him the buildings of the temple, where Christ delivered his memorable prophecy, which was exactly fulfilled in little more than thirty-six years afterwards, "There shall not be left here one stone upon another that shall not be thrown down." 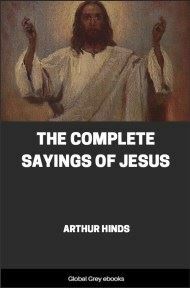 And it appears that, afterwards, as Jesus sat upon the Mount of Olives, the disciples came to him privately, having, as may reasonably be supposed, been ruminating in their minds, or conversing among themselves, on the prophecy, and had, perhaps, supposed that no power on earth could destroy those strong buildings, and concluded that, when this was accomplished, it would be the judgment-day. They therefore inquire of him, "saying, Tell us, when shall these things be?" that is, what he had prophesied of; "and what shall be the sign of thy coming, and of the end of the world?" They might not have intended to ask more than one question; yet they did ask three, and Christ answered them accordingly. 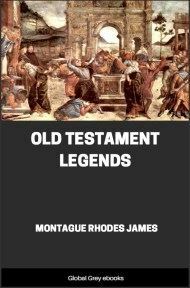 He had before told them of the destruction of Jerusalem, 4th, 5th, and 6th verses; he cautions them against being deceived with false Christs, and not to be troubled at wars and rumors of wars,--and yet Jerusalem was destroyed in the first war of any note after this prophecy,--and then says plainly, "The end is not yet." Now, if this end was the destruction of Jerusalem, then where are those wars, spoken of by Christ? This cannot mean any thing less than the end of the world. From the 7th to the 14th verse, inclusive, he gives a prophetic history of the trials, afflictions, and persecutions of his people, and also of the success of the gospel immediately previous to the end, and says, "Then shall the end come." 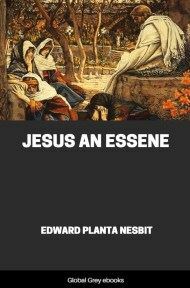 Now, it must be evident that this cannot mean the end of Jerusalem, because, if so, he that endured unto the end was to be saved from all the troubles which Christ had been speaking of; and it was not true that the disciples of Christ did not suffer afterwards the same things which Christ said they would. From the 15th to the 28th verse, Christ instructs his disciples into their duty during the siege of Jerusalem, and also down to the coming of the Son of Man.